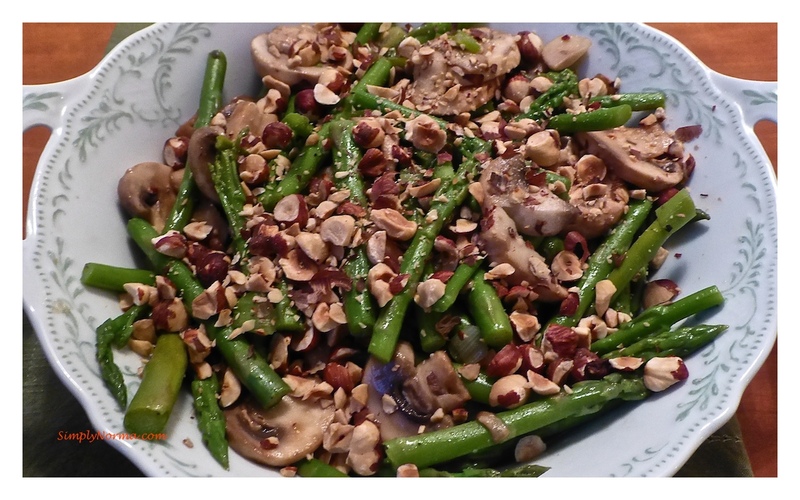 This Asparagus with Mushrooms and Hazelnut recipe is a really nice paleo side dish. I was a little hesitant about the vinegar mixture as I was afraid that it would be too bitter but it came out great! Next you’ll be prepping your vegetables by cleaning and trimming the asparagus and cleaning and chopping the green onions. 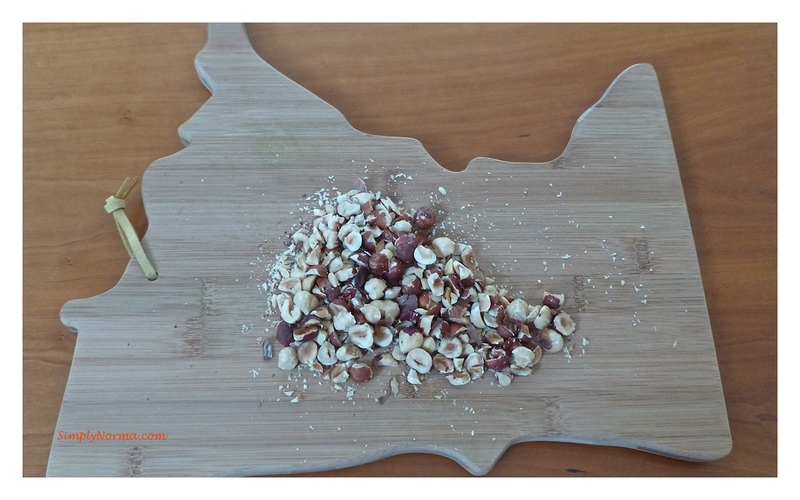 After chopping the hazelnuts, you’ll be toasting them. I did this on the stovetop. Keep an eye out on them though as you don’t want them to burn. To prepare for the next few steps, you’ll need a colander, a medium pot of boiling water (enough to put your asparagus in), a large skillet and a medium sized bowl of ice water. Once your water is boiling, put the asparagus in for about 4 minutes or so. It should be a “soft” boil not a roaring one. You want your asparagus to blanch (should be crisp when you take it out). Okay so — things are moving quickly now. 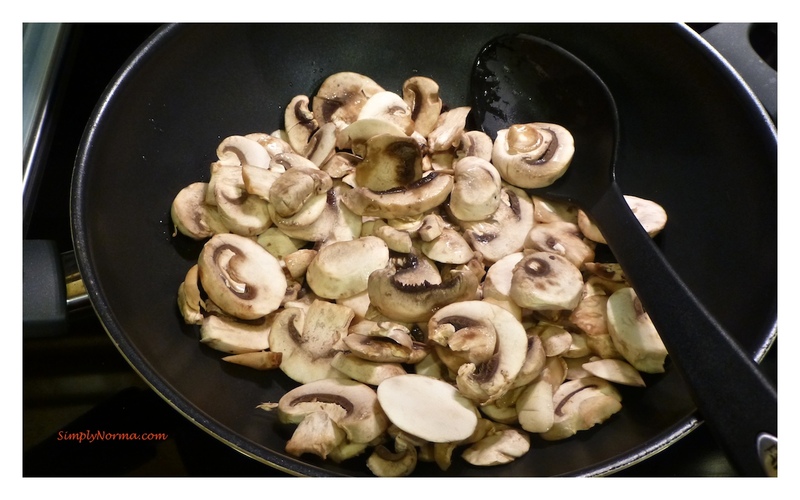 In a large skillet, add 1 tablespoon of olive oil and when it’s heated, add the mushrooms. You want them to be semi-soft. Next you’ll be adding the green onions to the mushrooms and tossing it all together. Ahhh, so pretty! By now you should be checking the asparagus as it should be done. 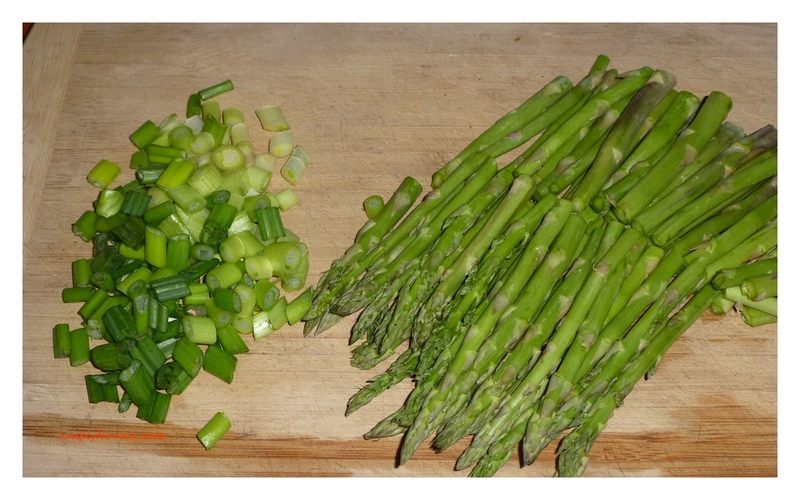 Drain the asparagus in the colander and quickly cool them off by tossing the ice water over the asparagus. A nice cold shower for them! Looking good! Toss it all together now. The mushrooms should be getting nice and soft. 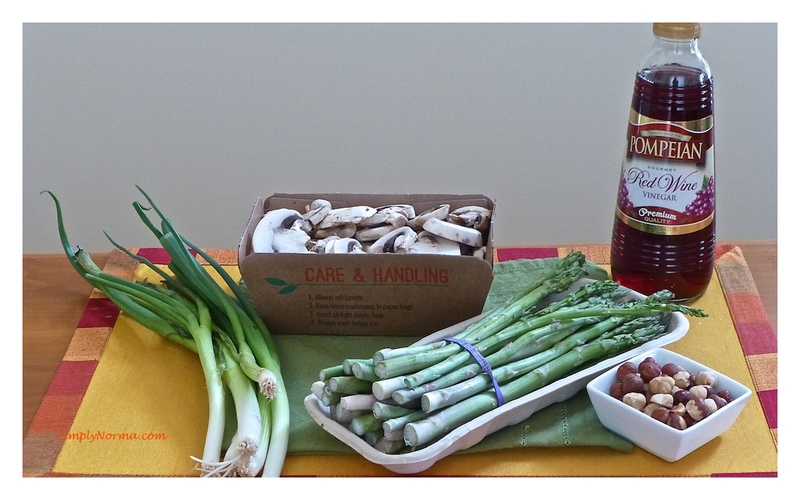 Next you’ll be pouring your red wine vinegar mixture into the skillet. Combine it all together and put it in a nice bowl then toss your hazelnuts on top. Ready to try it? Prep your veggies and lay them off to the side. Prepare a medium sized bowl of ice water (I used a salad bowl but you can use any container) – lay this off to the side til needed. 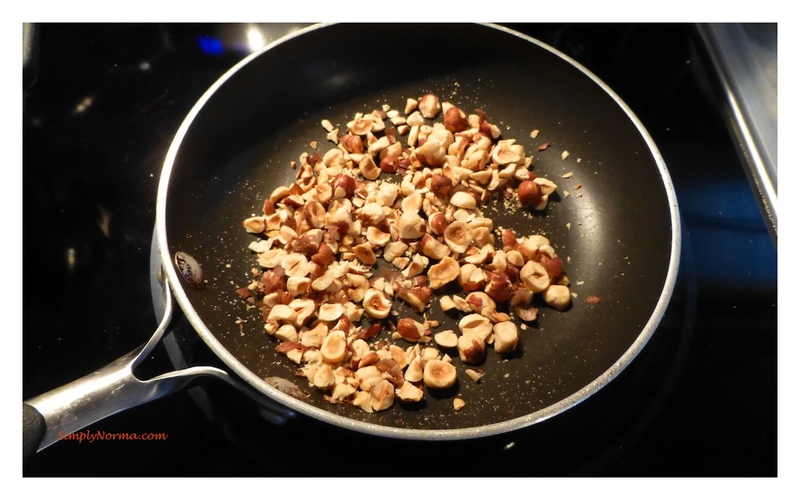 Chop the hazelnuts and toast them on the stovetop or in the oven (they don’t take long to toast so keep an eye on them) – then lay this off to the side. Add the vinegar, 1 tablespoon of the oil, salt, and pepper to a small bowl and lay this off to the side. Fill a medium sized pot with water and boil it. 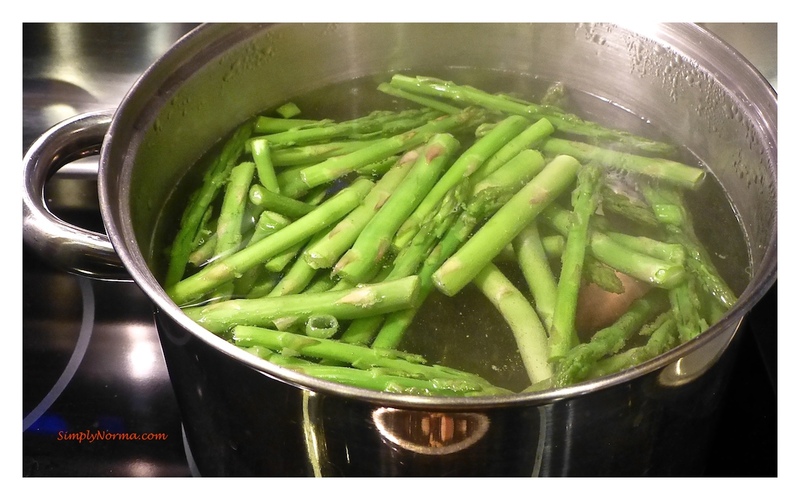 Once boiled, add the asparagus for approximately 3-4 minutes to blanch them. 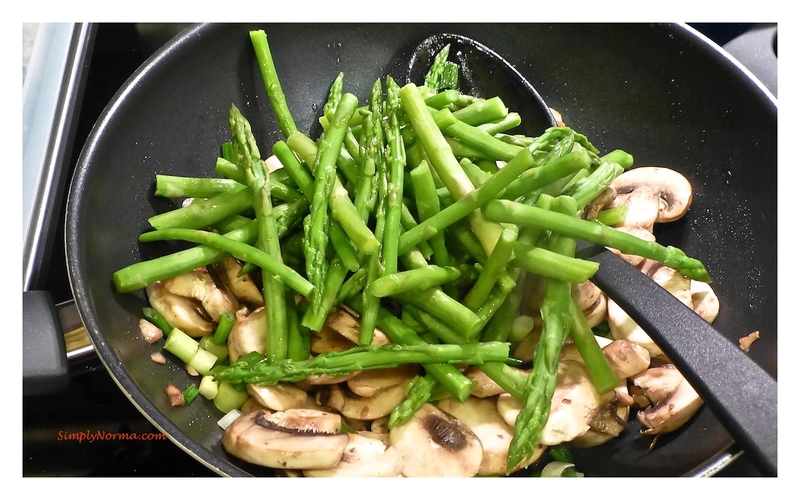 While the asparagus is blanching, put a 1-2 tablespoons of oil in a large skillet and heat on medium high. 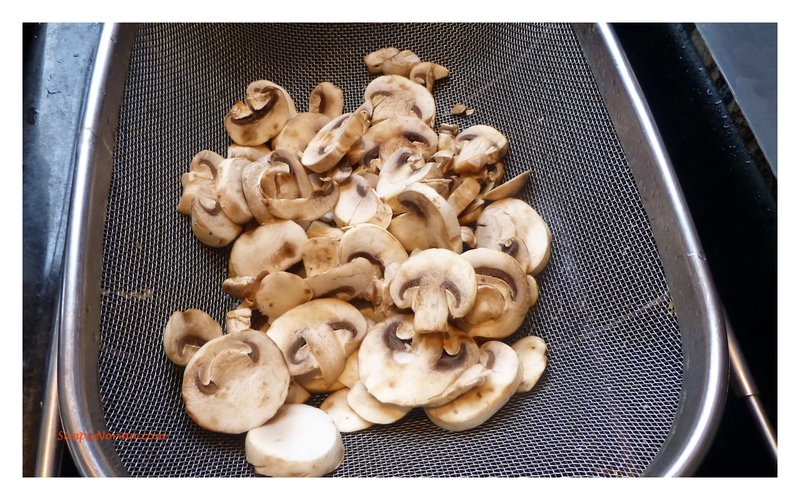 Add the mushrooms to the skillet and saute until they are almost soft. 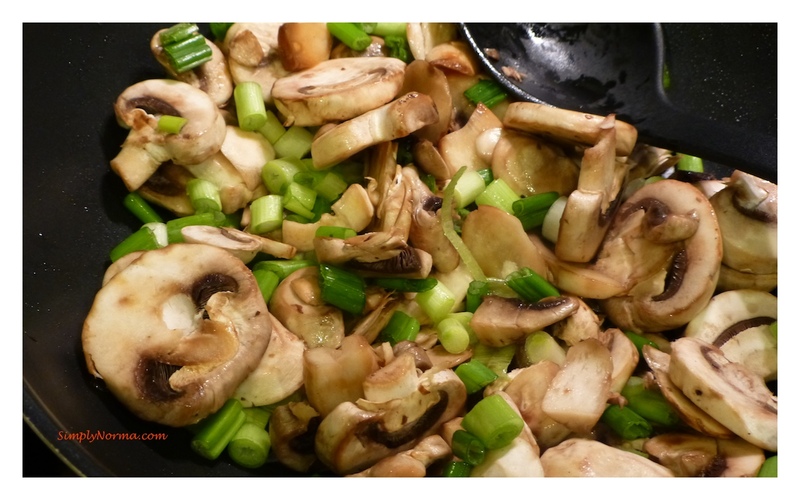 Add the green onions to the skillet with the mushrooms. At this point, the asparagus should be ready. Taste one to make sure — it should be crisp but not raw. Drain the asparagus in a colander, pour the ice water over them immediately then drain the cold water from the asparagus. 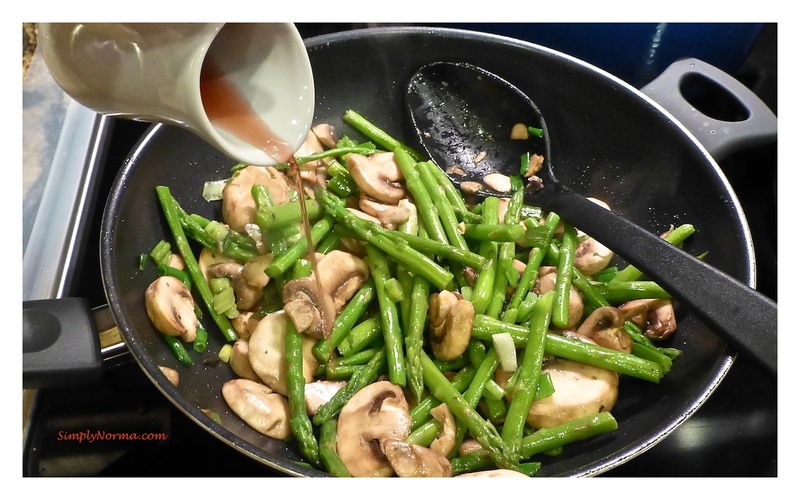 Add the asparagus to the skillet mixture, toss then cook for another 3 minutes or until the mushrooms are soft. Turn the skillet heat off then slowly add the vinegar mixture into the skillet. Toss everything together. Put the vegetable mixture in a bowl and sprinkle the toasted hazelnuts over the top. Whala!!! You’re finished and it tastes absolutely delicious! 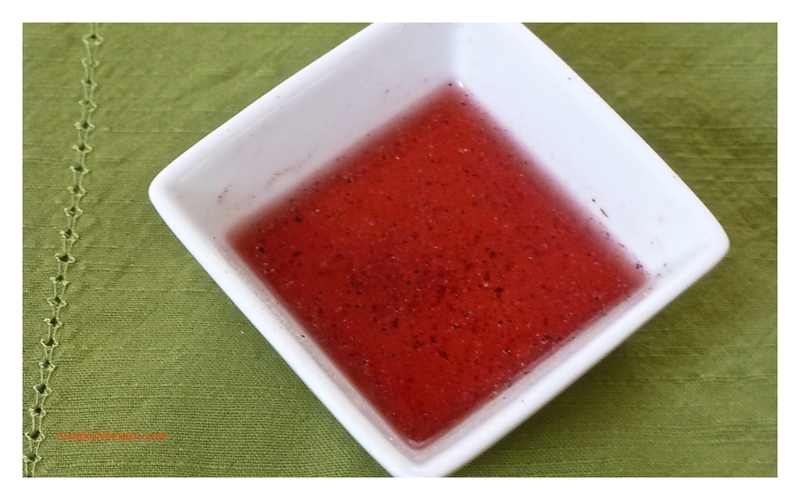 I found this recipe at Paleo Plans which has a really neat section that includes recipes they have tried — very similar to the page I have that has a list of recipes.